Little Jack- Mabunaiper-V 61mm 8.5gr #07 902042 19.80лв. Little Jack- Mabunaiper-V 61mm 8.5gr #08 902059 19.80лв. Little Jack- Mabunaiper-V 61mm 8.5gr #06 902035 19.80лв. Little Jack- Mabunaiper-V 61mm 8.5gr #03 902004 5.00лв. Little Jack- Mabunaiper-V 61mm 8.5gr #04 902011 19.80лв. Each one is a bite-sized model that focuses on the "bottom cheats". Therefore, the specification for its berry is a double hook. Moreover, its body stays at the bottom. It never rolls over. By making its eyes slightly movable and its form realistic, we have endowed it with a sense of life. Furthermore, attached to its tail is the Colorado blade, our original product. By reeling, it rotates smoothly and flashes to attract its target. The double hook blade which is of the same size same as the blade and at the same position, does not let even short bites on the blade to escape. Another appeal is its ability to carry out "wide-range" searches. 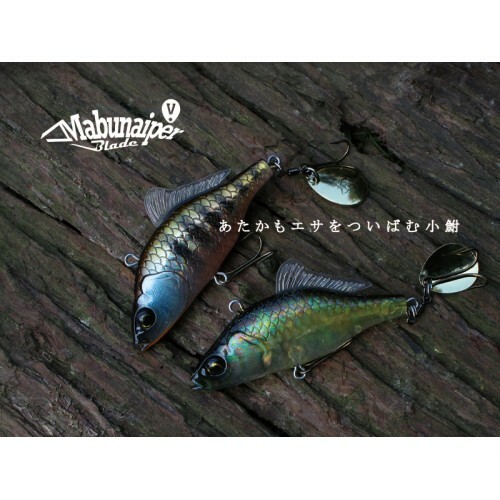 These lures can certainly be used as search baits.